The 2016 Kia Cerato Si is one of four in this safe and incredibly affordable range. If you’re selling or buying any versions of the Kia Cerato, it’s important to know what sets them apart from each other as well as competitor vehicles. We’ve laid out the varying prices and features so you’ll get a good idea of where the Cerato Si sits in its family. If you’re selling a Kia and you know you want someone else to deal with the hassle, make an enquiry with us today. We offer cash for cars so that selling a Kia doesn’t come with an instruction manual! The Cerato Si may not be the cheapest of the line up but there are definitely benefits that come with the upper range models. We’ll talk about specs shortly but for now let’s see what kind of cash you’d need for the brand new vehicles. Kia Cerato S premium is the next step up with driveaway set at $24,990. Kia Cerato Si is second to the top and will cost $28,990. 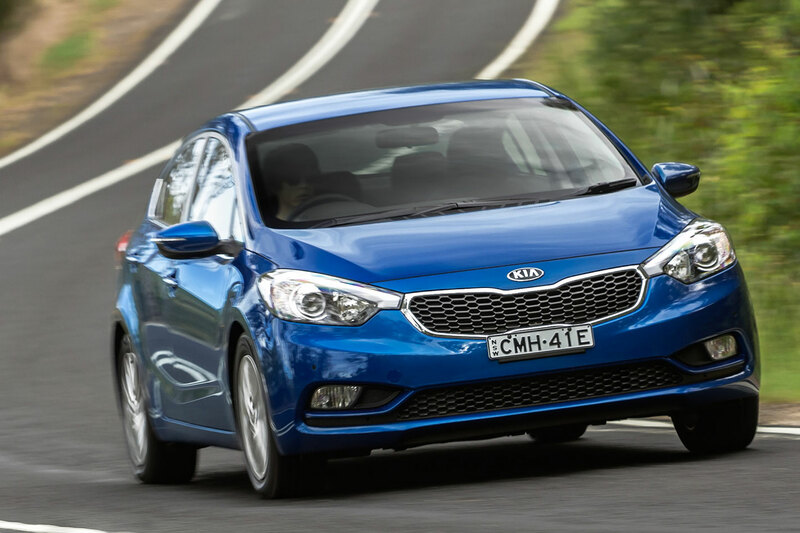 Kia Cerato SLi is top of the range at a driveaway cost of $32,490. If we compare with a few competitor models you’d measure up with a Mazda 3 at $20,490, the Hyundai i30 at $18,990, or the Toyota Corolla at $19,790, all entry-level prices. The Kia Cerato S sits in the middle, roughly the same as the Corolla. The Cerato Si might be matched with the Mazda 3 Touring which costs $29,005, or the VW Golf Comfortline at $29,990. The Cerato Si is in the upper middle range for good reason. While even the base level enjoys 16-inch alloy wheels, 3.5 inch touch screen display, keyless entry and parking sensors, the Si goes a bit further. The Si interior is generally more upscale with leather trim, navigation, dusk-sensing headlights and Android Auto connected to the 7-inch multimedia unit. While it may not have all the bells and whistles of more luxurious makes, it does pretty well for its price tag. We mentioned some of its comparable rivals in its price range above, but considering these specs you could also size it up against the Holden Cruze, Subaru Impreza, or even the Nissan Pulsar. The boot holds from 385 to 657 litres depending on whether the read seats are up or down and the whole body is 4350 by 1780mm. There are front and back cup holders as well as bottle holders fitted into doors. It feels rather spacious as a passenger without cramping the leg space or looming to low overhead. Some drivers do find however that the seats were set just a little too high. All Kia Cerato models have achieved the full 5-star ANCAP rating, staying true to their growing reputation as a safe vehicle. However, some reviewers found that the safety package was lacking in comparison to come rival vehicles. For instance, there is no AEB included and even the mid-range models do not come with a rear camera. If you do have an Si then you’ll also enjoy rear cross-traffic alert and blind-spot detection. If you splurge on the top of the range SLi then you will also receive forward collision and lane-departure warning systems. While this line may seem to be slightly underwhelming, the high ANCAP rating reassures us that the extras may just be luxury items and that Kia has provided all we really need. If the engine is your main concern as a driver then you won’t have to look beyond the entry level Cerato S. All four vehicles in the range now come with the standard 2.0L 4cyl petrol engine, only in front wheel drive. It makes 112 kW and 192 nM. All come with a 6-speed auto transmission except the S which also has a manual edition for the same price. While the Cerato Si has the standard engine, it is set up with a 6-speed automatic transmission with a torque converter. Driving this around gives a combined fuel rating of 7.1L per 100km according to Kia. C02 emissions are listed at 168g/km. Cerato’s require annual servicing, or every 15,000kms, which has capped costs of $2,734. Seems a little high? Well the total represents a warranty covering seven years! This is one area where Kia shines as most drivers of rival models won’t get above three years. Cons: Old tech engine lacks efficiency, no AEB.